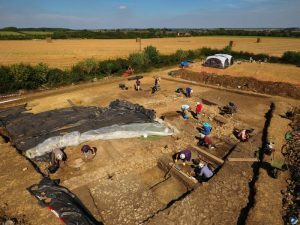 MidNAG is resuming excavations at Nassington for a third year. There is a large Roman barn which we are trying to understand better. It is hoped that the 2018 dig will start to tell us more about the occupation and uses of the barn and nearby structures. Those interested will need to contact (and be members of) the Middle Nene Archaeology Group.